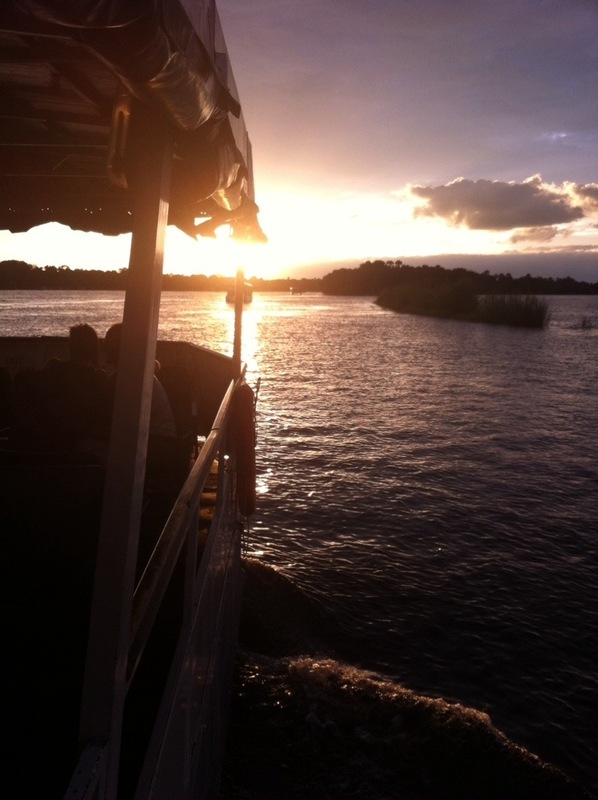 1) The soul balm calm of sunset on the massive Zambezi river. With a beer. And hippos. 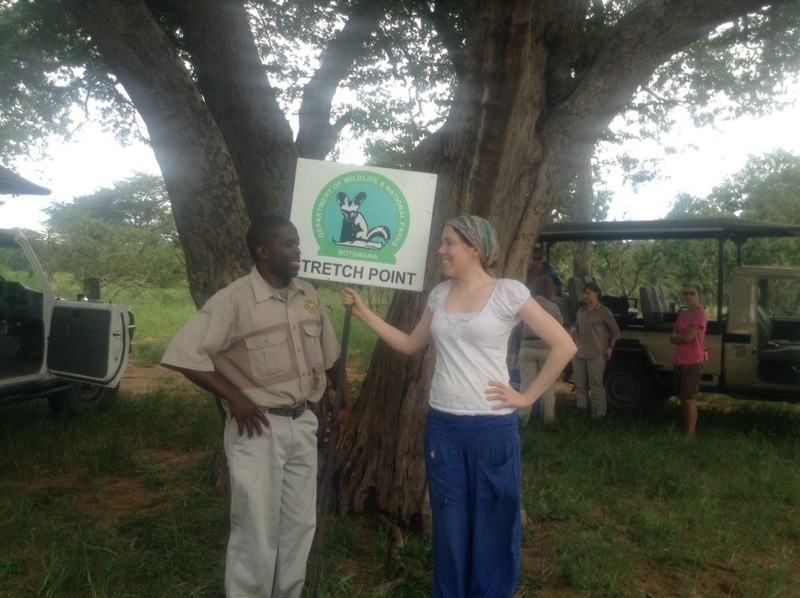 2) Justice the game reserve guy at Chobe saying that if a lion charges us, he would “handle the situation”. Despite not having a gun. Moments later, we happen across a lion and its cubs eating a baby elephant carcass. Justice seemingly unruffled. 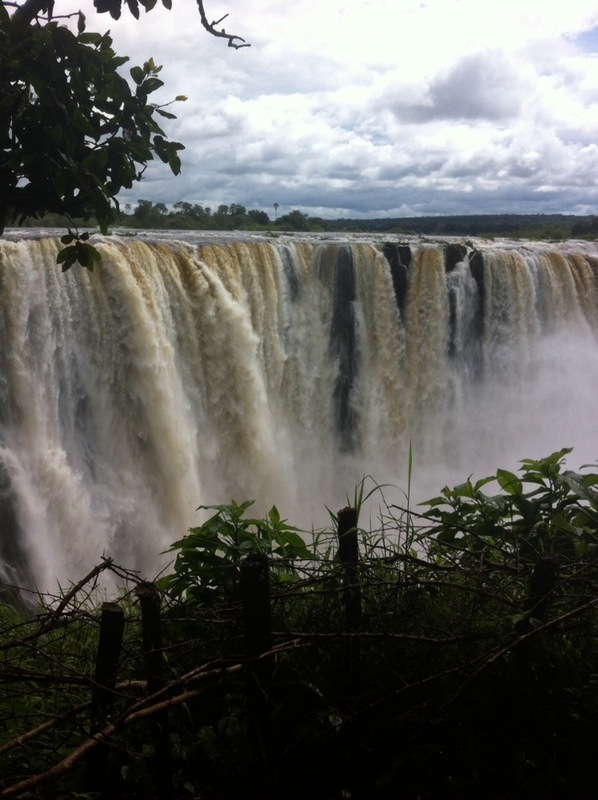 3) Loads of water crashing into a massive crack in the earth. Seriously cool. And very wet. And worth the US$30 park entry fee. 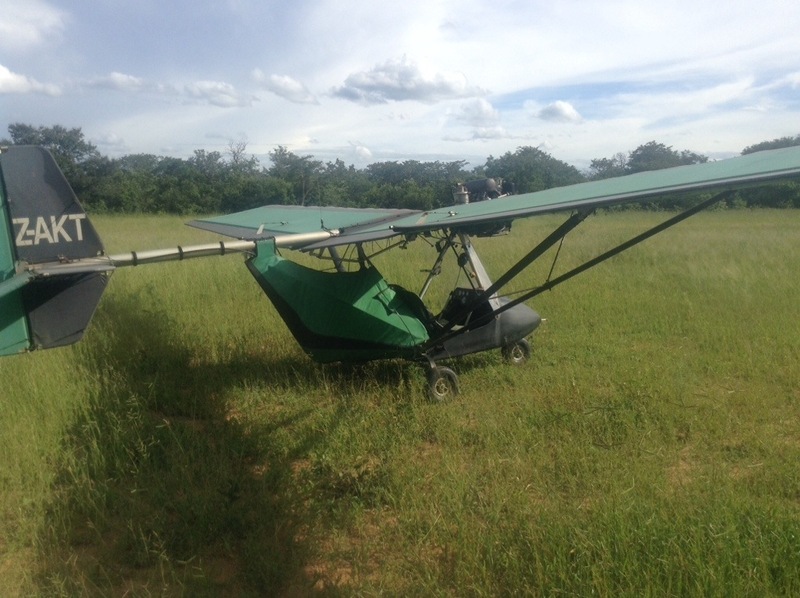 4) A friend of a friend taking me up over Zimbabwe in this rather dodgy looking micro light. You can usually only do this tiny propeller plane thing in Zambia for about US$150, so was very lucky to fly up on the Zim side for the price of a tank of petrol. And to survive. 5) The very UK civil service style immigration communications; complete with a ‘mission statement’ and ‘client charter’, complete with regal picture of ‘his excellency’ Cdr. Robert Mugabe. 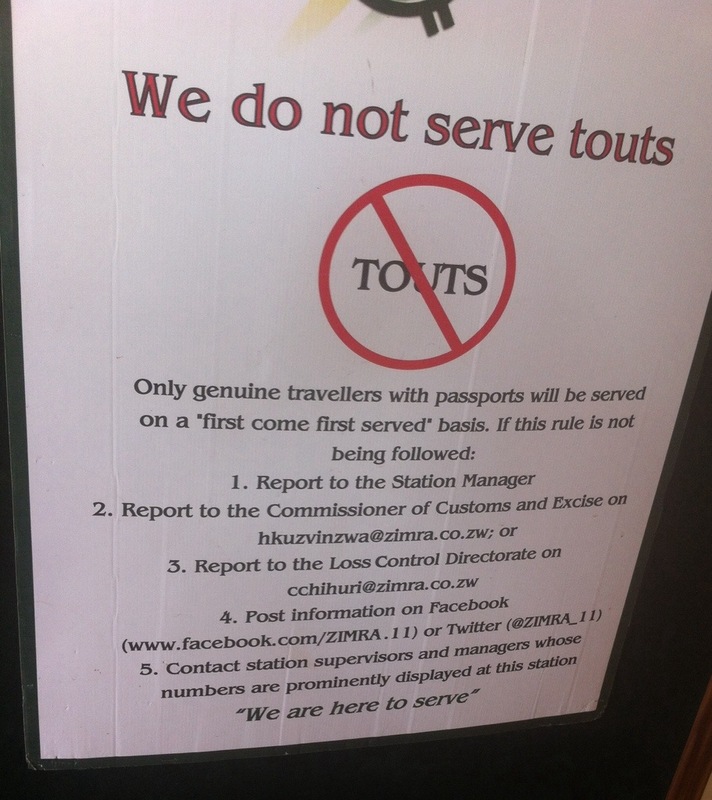 I very much liked the social media feedback mechanisms on this poster in Zim/Botswana border control. 6) The greenness. 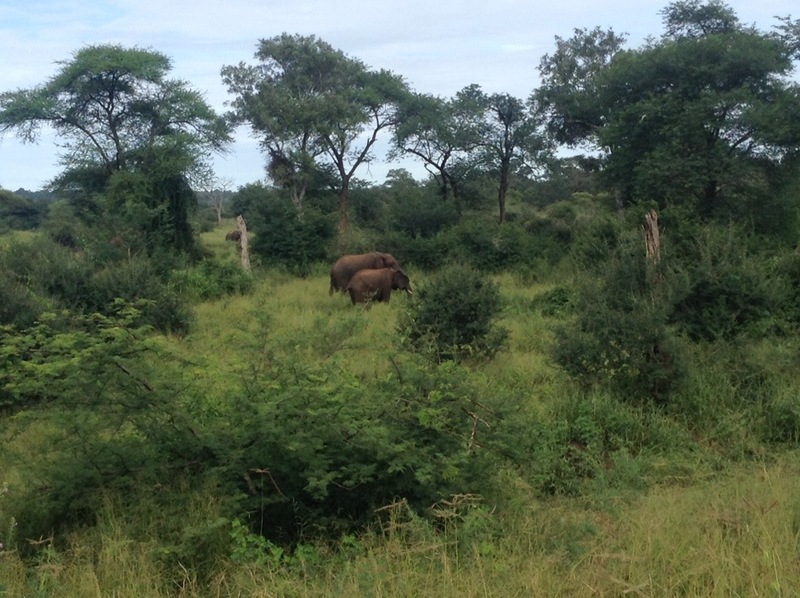 And the elephants in the road. 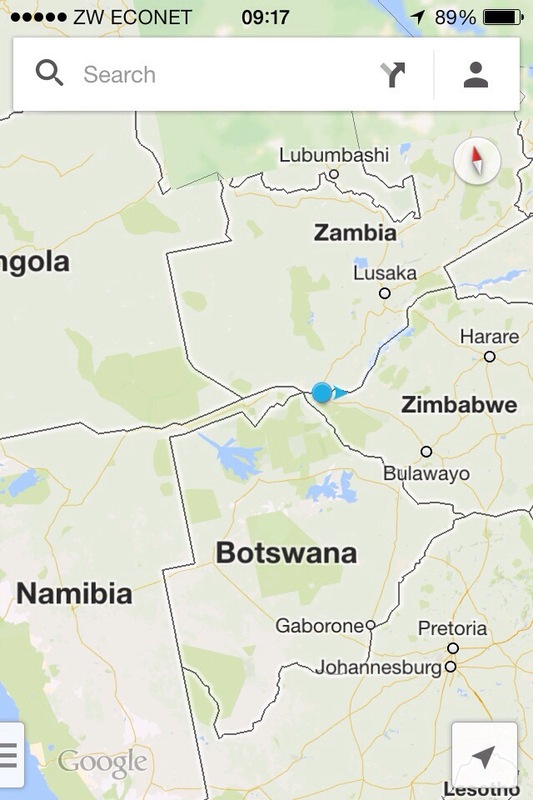 7) Realising this strange protected beautiful bubble of a place is virtually on the axis of four countries. Safe, friendly, expensive. Loved it. Miss it already. So I’m on this flight from London to Tel Aviv. It’s a budget affair and frankly I don’t think I’m the only one whose adrenaline levels have gone through the roof in the fight to get on the plane, squeeze my somewhat oversized ‘hand luggage’ into the overhead locker and bag a coveted window seat. As soon as the stewardess gives us the required permission, everyone unfolds ipads/laptops and plugs in ear phones, killing time til we touch down. I’m one of them. 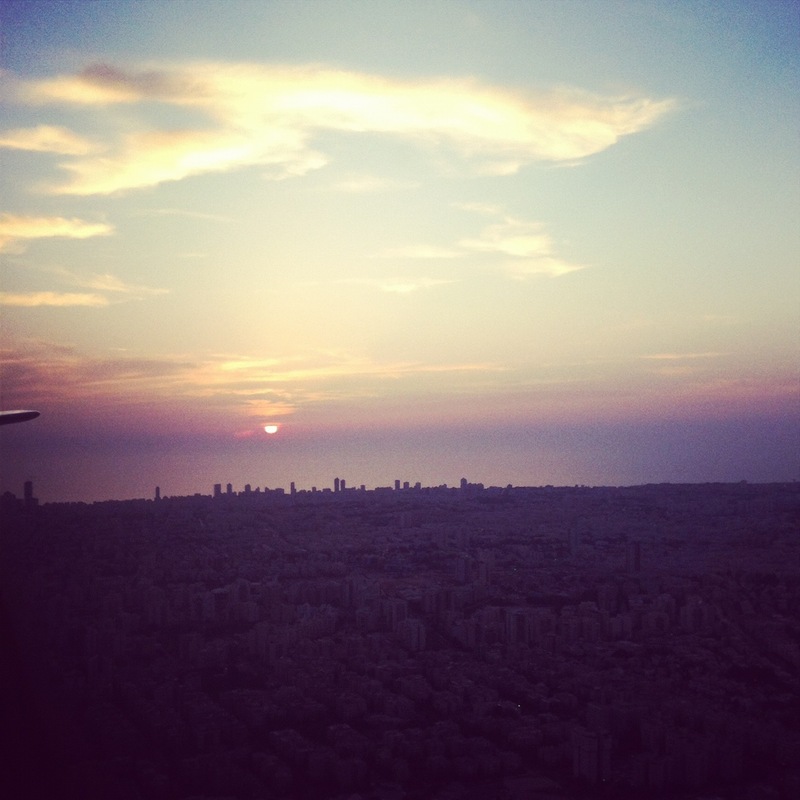 I’m looking at the clock and wondering how many episodes of Sherlock I can squeeze in before we actually reach Ben Gurion. 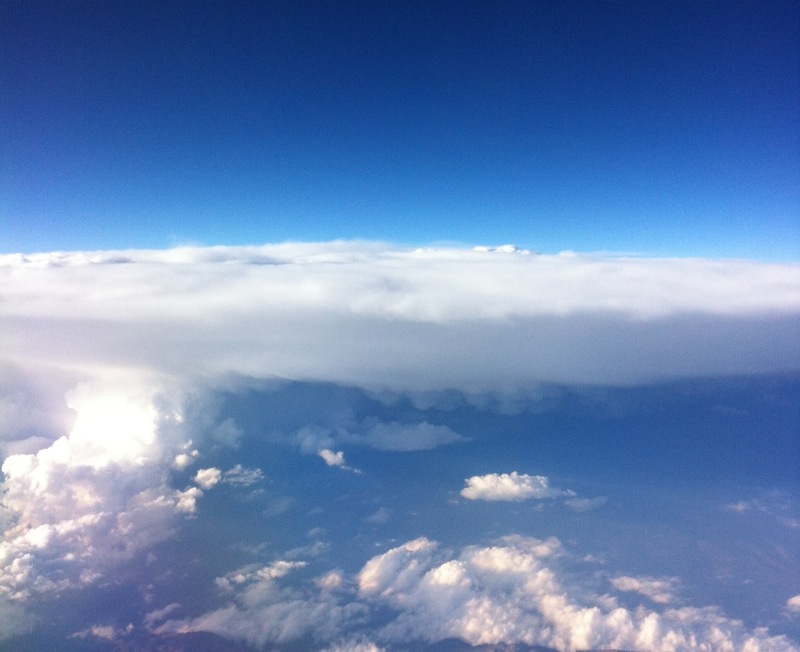 We were flying! 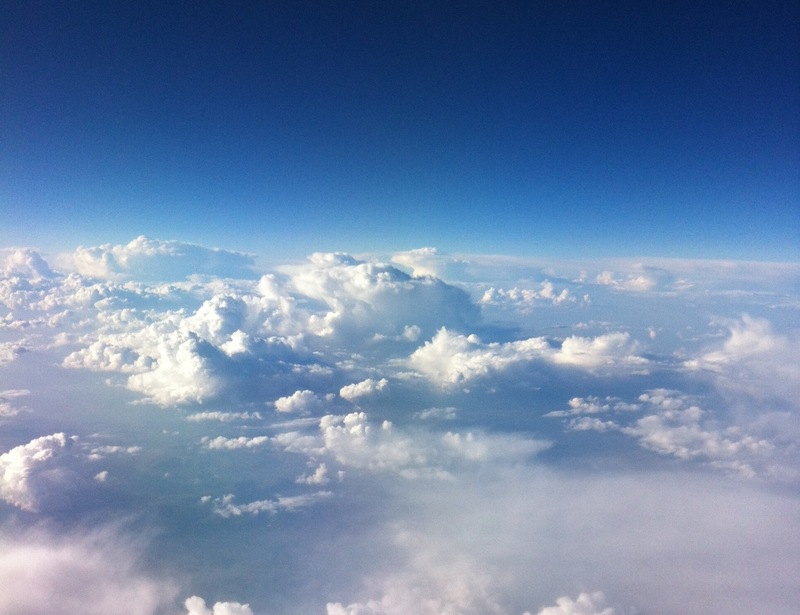 Like, ABOVE THE CLOUDS!! Is this not frickin’ incredible to us anymore? What’s WRONG with us?! Last week the Kit from the lovely Seek New Travel blog tagged me to participate in HostelBookers 7 Super Shots. So here are mine. I’ve chosen a bit of a street-art/graffiti theme and stuck to the suggested titles in only the very loosest of ways. This shot was taken in early 2005, a few months after George Bush had defeated John Kerry in the US Presidential race. It was my first time in the USA and I had hired a monster of a car to drive down Highway 1 from San Francisco to LA. I’d never driven on the right hand side of the road before, or driven an automatic, so large portions of this trip were spent with me trying to navigate roads while not veering into the wrong lane while pumping the Chemical Brothers on full blast. Driving through the university town of San Luis Obispo I came across this stop sign and had to pull over the car to take a photo. 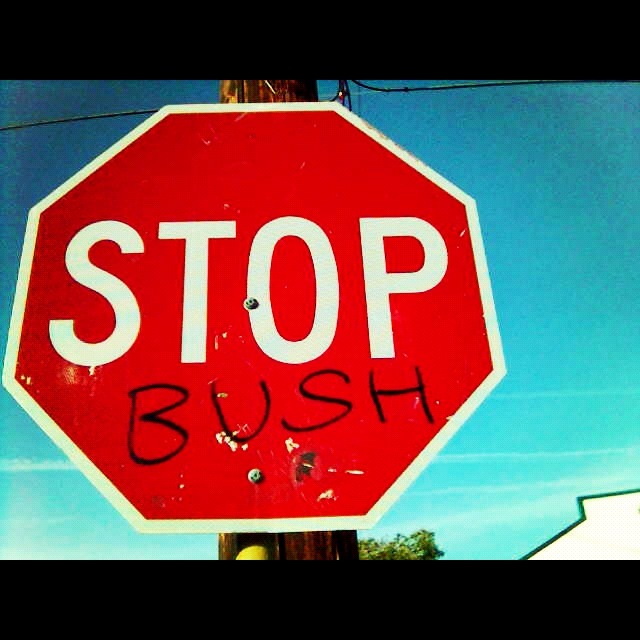 As someone who thought Bush was a total imbecile, it was great to come to the USA and see that a whole heap of Americans thought so too. 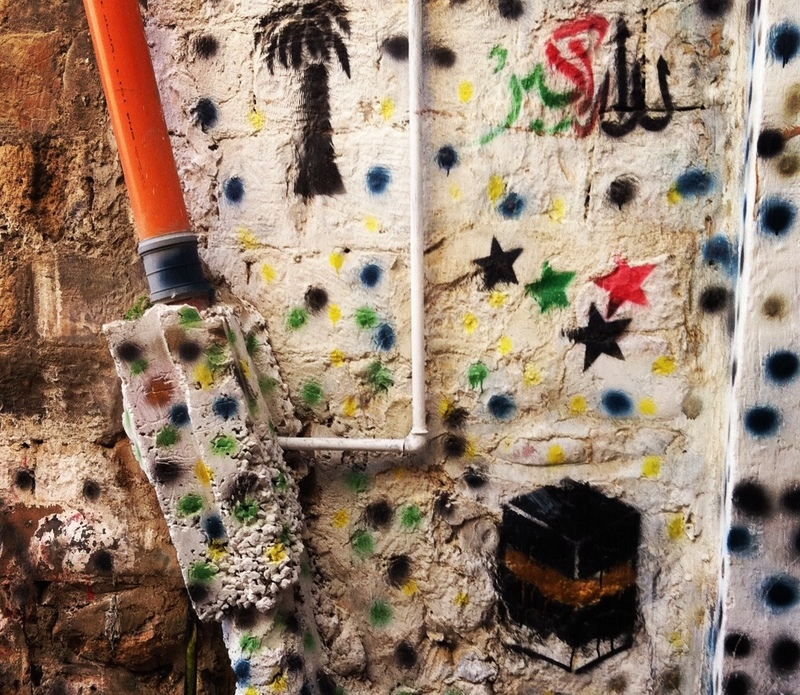 I found these patterns and paintings down several of the laneways in Jerusalem’s Arab quarter. They instantly made me smile – they seemed so fun and colourful. I asked one of the guys selling coffee next door to this one what they meant, and he told me they were there to commemorate that someone from that house had embarked on the Hajj – the pilgrimage to Mecca which all Muslims are required to make once in their lifetime. I loved that this was an example of ‘graffiti’ being used to celebrate a religious tradition. What you can’t see in this shot is that I’m staring at the London Olympic Stadium directly in front of me. I had honestly thought that at this point – July 2011 and a year before the Games – that the stadium would still be long off completion. But it wasn’t. It looked sorted. I was impressed and happy. 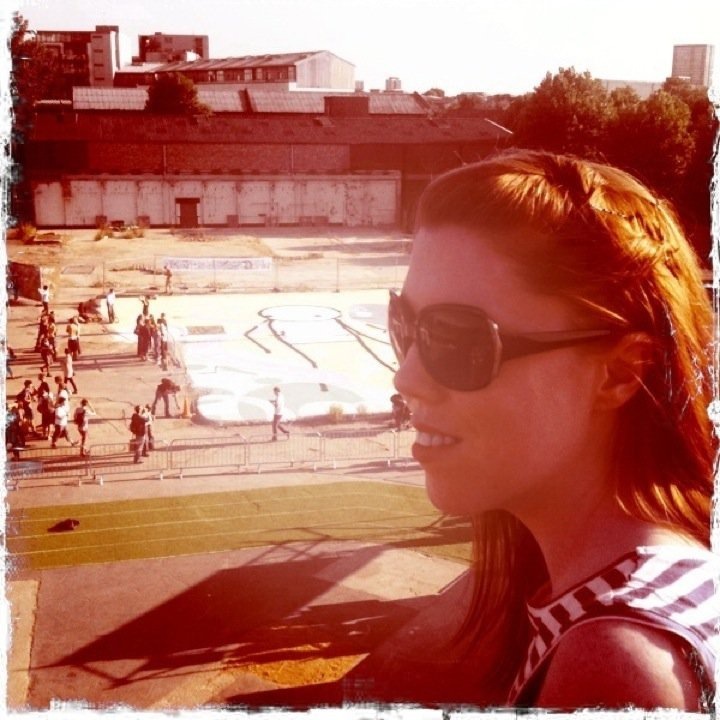 Meanwhile, behind me is one of Stik’s biggest projects; a huge huge stick man painted on the floor of what was a bit of no man’s land in Hackney Wick. I was there with my friend Heather dancing the night away at a local art and music festival – I don’t think it’s on this year because of the Games. I was working on a UN event called ‘Cartooning for Peace’ in 2006 when I first heard of Palestinian cartoonist Naji al-Ali, whose work regularly featured the image of Handala, a barefoot child with his back to us, silently watching what’s going on in his homeland. In 1987 al-Ali was gunned down in London; Ismail Sowan was arrested for his murder although it was never clear whether he was acting for the PLO or Mossad – both of whom he admitted working for as a double agent. 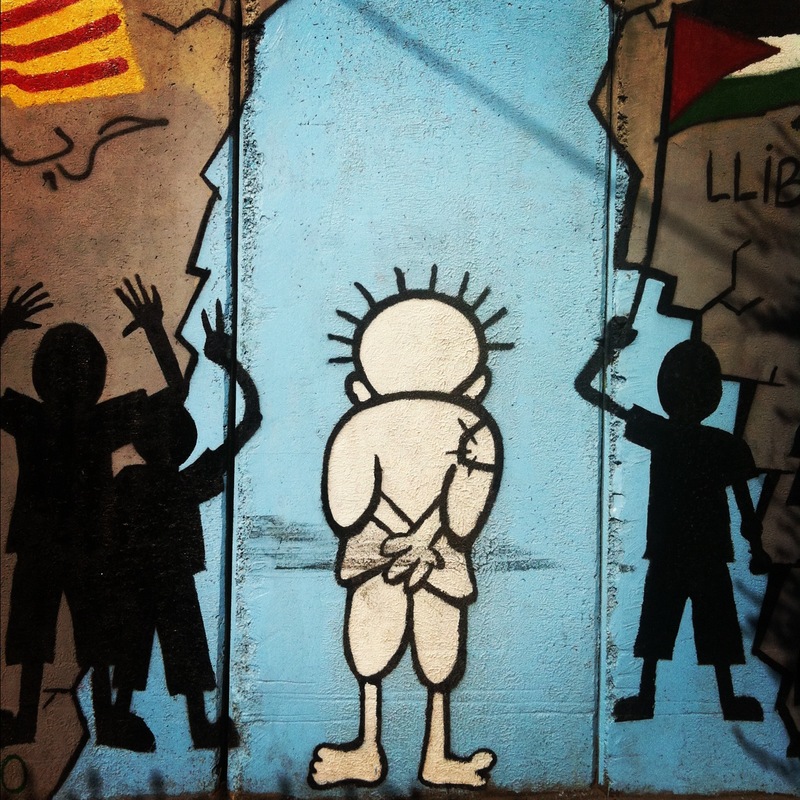 The image lives on however – it’s painted here on the Palestinian side of the Separation barrier near Bethlehem. Slightly tenuous, but I was starving when I took this photo. I had just climbed to the top of Lycabettus Hill in Athens – everyone had told me there was a cafe at the top, but no one mentioned how expensive it was. 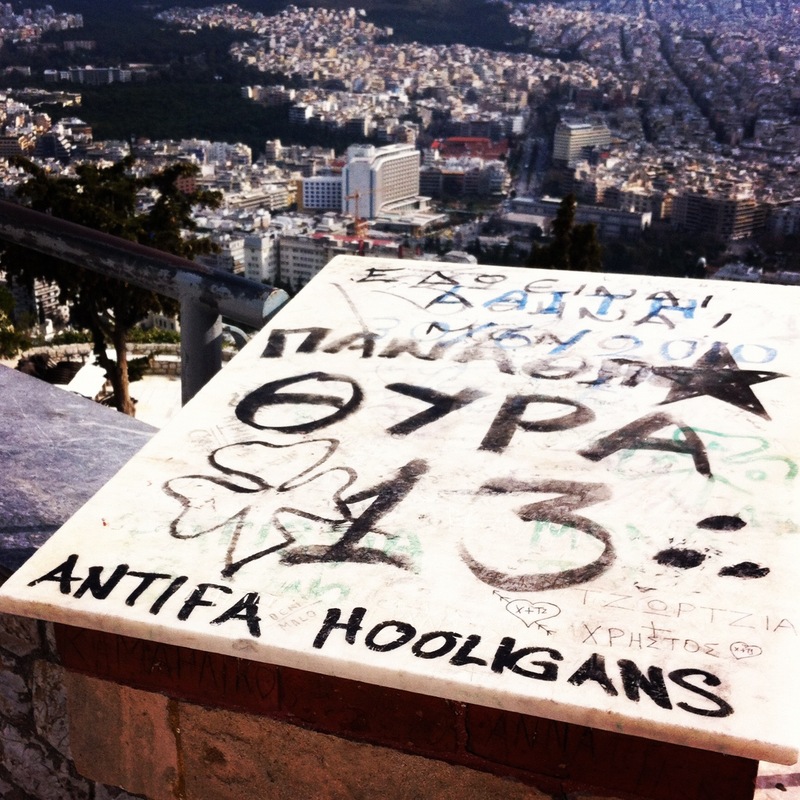 By this point my stomach was really grumbling, but I liked that someone had bothered to draw the words ‘Antifa Hooligans’ on the stone slab – I remembered someone telling me once that this was an anti-fascist football song of some kind. The view was gorgeous, and here I was thinking of anti-fascist football songs. With a rumbling stomach. 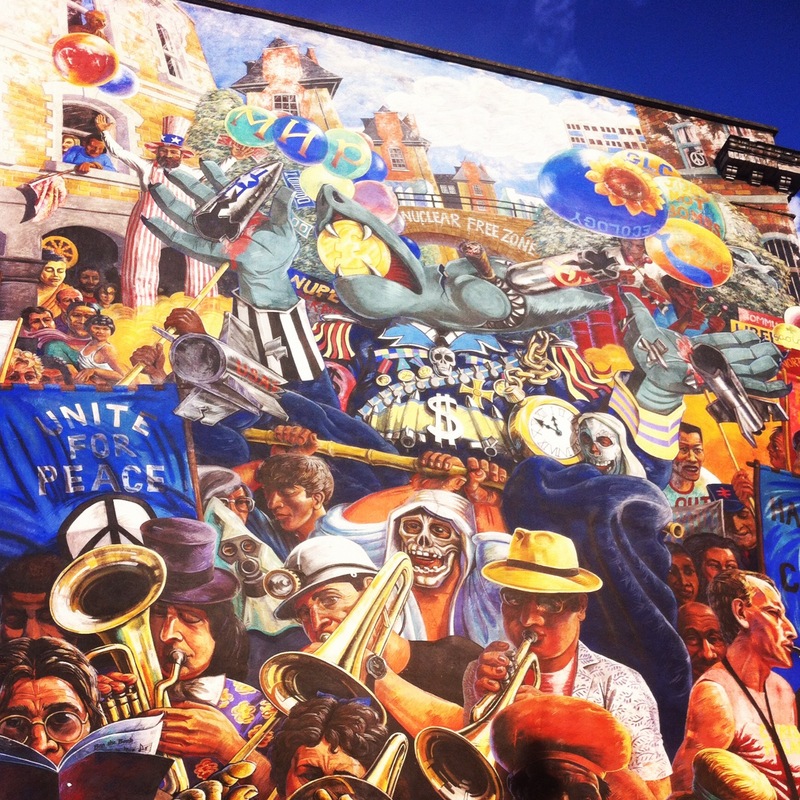 This mural is right around the corner from my house and was painted way back in 1985 based on the Hackney Peace Carnival two years earlier. 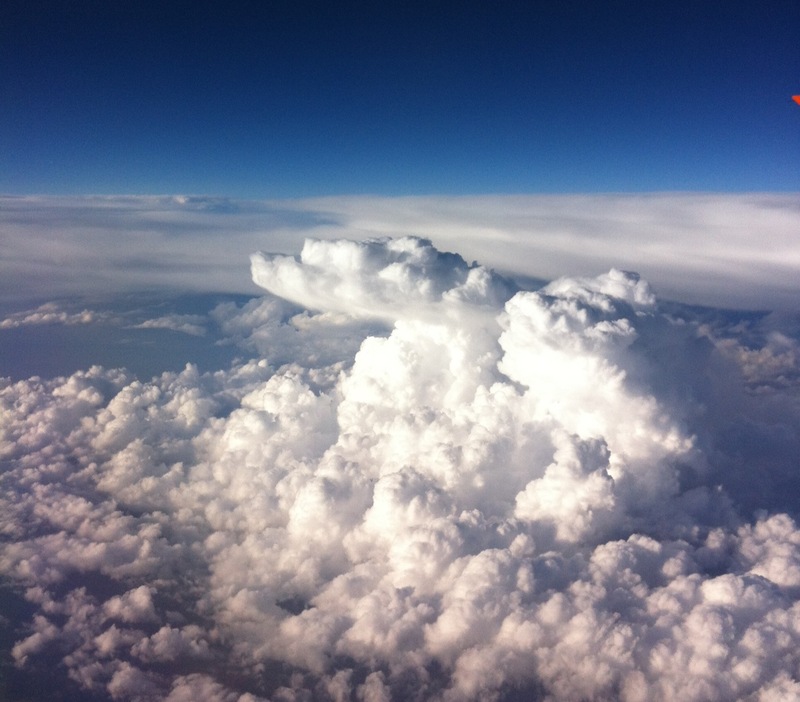 I love it because it has loads of energy – something which the area still has in bucket-loads. Here, Ray Walker’s mural show the community coming together against the bomb and the threat of nuclear war. There are a lot of things Hackney residents come together on here in 2012, but CND isn’t usually one of them. I’m not sure it’s so much this particular photo I’m proud of – it’s not like the composition or even the subject matter are particularly unique now. I do however like it for personal reasons. 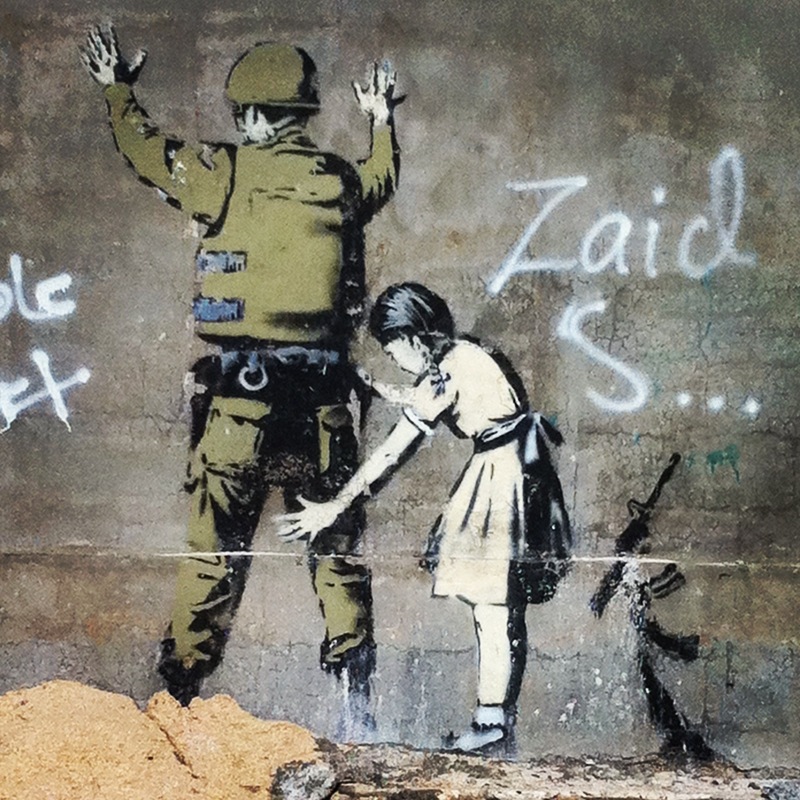 While at uni in Bristol we saw Banksy stencils and artwork pop up all over the city, so it was great to see how, ten years later, similar images of resistance and satire were finding themselves on the Separation Barrier between Israel and the West Bank. Quite a long way from the rat stencils he printed outside our local Somerfield.